A severely anemic cat in Key West is doing well now after getting an emergency transfusion with dog’s blood. 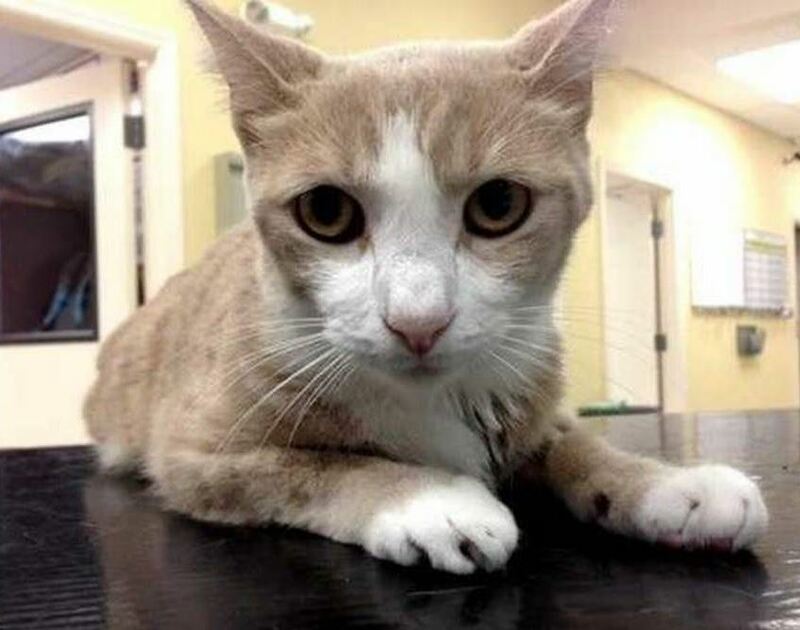 A severely anemic cat in Key West, Florida is doing well now after getting an emergency transfusion with dog’s blood. Buttercup became abnormally weak and lethargic, prompting his owner, Bernie Saunders, to take him to the vet last month, where he was discovered to have a severely low red blood cell count. With no readily available compatible cat blood, and time being of the essence, Dr. Sean Perry from the Marathon Veterinary Hospital on Marathon Key ordered dog blood from a West Palm Beach dog blood bank with Mr. Saunders’ permission. The September 16 transfusion took 4 hours, and has helped Buttercup’s blood count. The transfusion between the two species is called xenotransfusion and, while rare, is something we have shared a story on before. It has reportedly been done at least 62 times, and cats are the only animals who receive blood from dogs. Cats lack antibodies against canine red blood cell antigens, so are able to accept the dog blood. The procedure can only be used once on an individual cat because the cat develops the antibodies after getting the xenotransfusion and its system will thereafter attack the foreign blood. Mr. Saunders says Buttercup has become active again and is taking steroids and antibiotics while having regular checkups at Marathon Veterinary Hospital to monitor his progress. It is not known why he became so anemic in the first place.